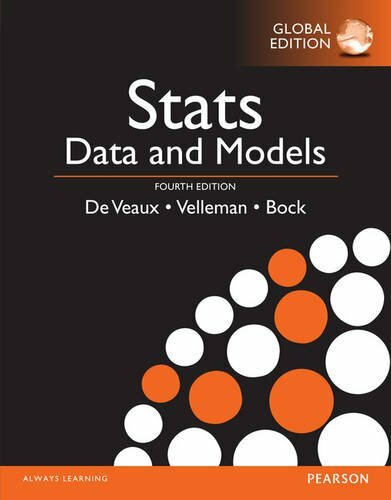 and David Bock wrote Stats: Data and Models with the goal that students and instructors have as much fun reading it as they did writing it. Maintaining a conversational, humorous, and informal writing style, this new edition engages students from the first page. 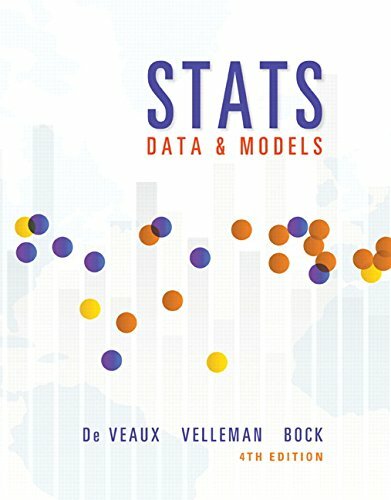 The authors focus on statistical thinking throughout the text and rely on technology for calculations. As a result, students can focus on developing their conceptual understanding. Innovative Think/Show/Tell examples give students a problem-solving framework and, more importantly, a way to think through any statistics problem and present their results. The Fourth Edition is updated with instructor podcasts, video lectures, and new examples to keep material fresh, current, and relevant to today's students.